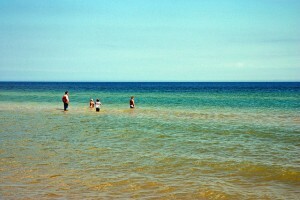 The number of Great Lakes drowning deaths are down from last year, possibly because of the colder spring. Twelve people have drowned in the Great Lakes since Jan. 1, eight less than this time last year, according to the Great Lakes Surf Rescue Project, an educational water safety group based in East Lansing, Mich. and Matteson, Ill. The record drownings in 2012 may have been due to unusually warm weather. Three people died when snowmobiles fell through ice, two were kayaking and one was in a vehicle that went into the water. By contrast, 34 people have been rescued from drowning so far this year. Twenty have been on Lake Michigan, including one mission to save eight stranded fishermen. In anticipation for the upcoming swimming season, three water safety workshops will be put on June 4 at P.J. Hoffmaster State Park near Muskegon, Mich, June 5 at Grand Traverse Civic Center in Traverse City, Mich. and June 6 at the U.S. Forest Service Office near St. Ignace, Mich.
Their aim is to increase knowledge about dangerous currents by educating parks personnel, emergency responders, volunteers, researchers, educators and others about Great Lakes beach hazards. Workshops will be hosted by the Michigan Sea Grant, Michigan State University, Michigan Department of Environmental Quality and the National Weather Service. Well this is good news! I’d like to think it was because folks were taking more precautions: Wear those life jackets, know the water temp, dress for the water weather, two boats are better and take the search out of search and rescue.